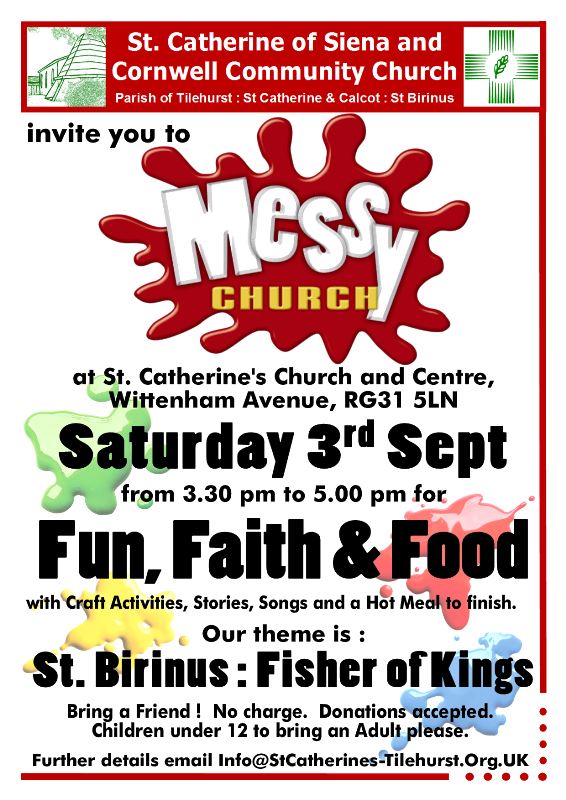 Messy Church is for the whole family, who can come and join in Fun, Faith and Food together ! This month, we look at the life of someone given an unusual job, to be a “Fisher of Kings”. We’re looking at our Parish’s other Saint – St. Birinus, who was given this unusual job to do back nearly 1,400 years ago ! Who was he? What did he do? How is this relevant today? 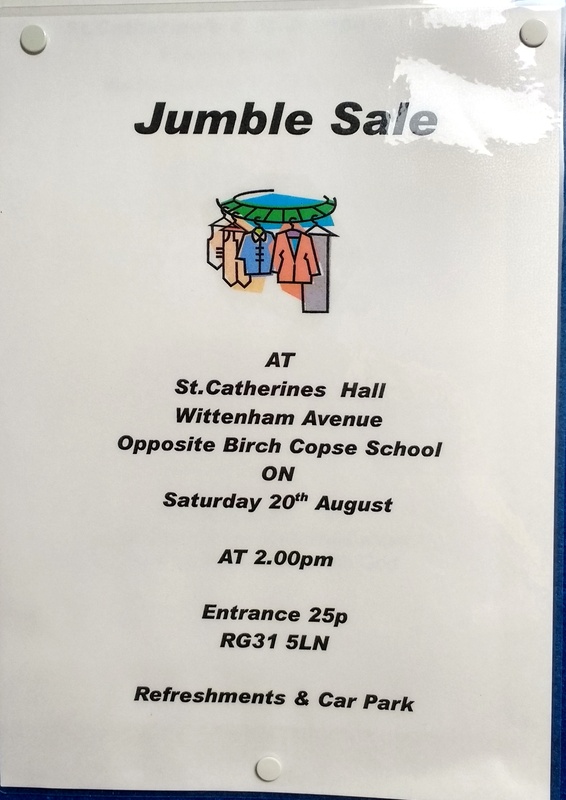 Come along to St Catherine’s on 3rd September at 3:30pm to find out ! 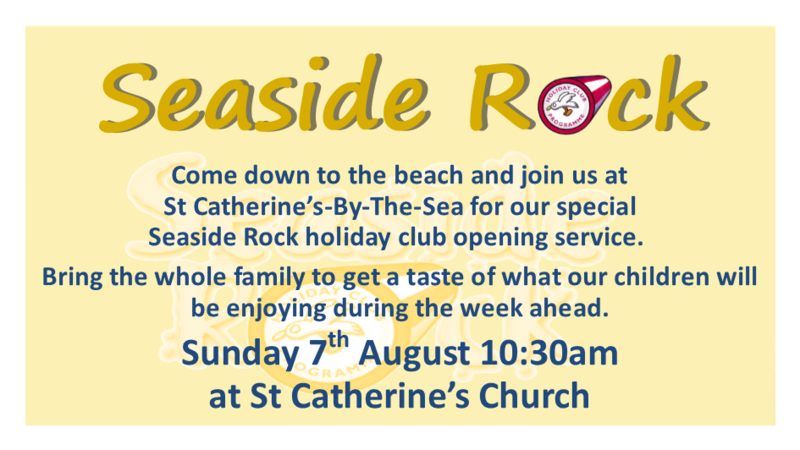 St Catherine’s Café will be closed on Thursday 11th and Friday 12th August for it’s Summer Break while the Seaside Rock holiday club takes place. It will reopen on Thursday 19th August. 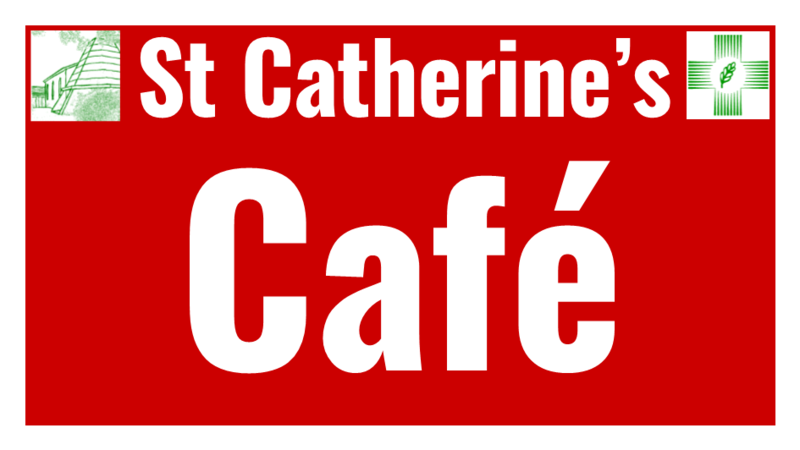 Due to a funeral, St Catherine’s Café will open later than usual on Friday 5th August. We expect to be open for Lunch. 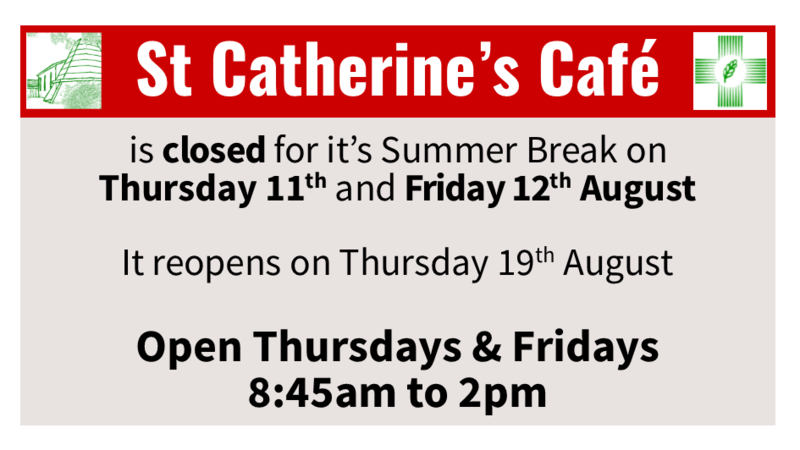 Also advanced warning that the Café will be closed for it’s summer break on Thursday 11th and Friday 12th August.